RSM Color Guard Spring Club - Starts April 11, 2019 @ RSM Band Room, 3:15pm until 5:00pm - EVERY THURSDAY! 2019-2020 THHS Instrumental Music Program Calendar (tentative) - NOW AVAILABLE!!! 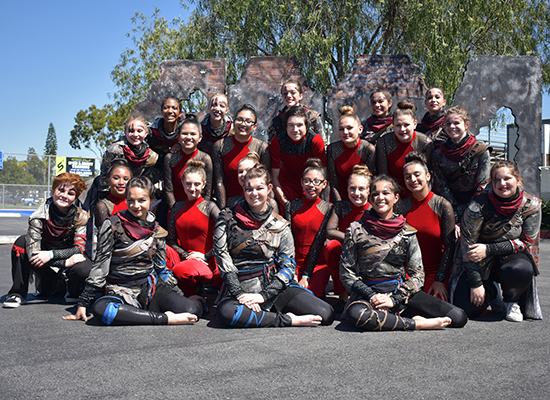 The Trabuco Hills High School Junior Varsity Winter Guard will perform at the 2019 Winter Guard Association of Southern California Championships @ Westminster High School in Westminster, California on Saturday, April 13, 2019 (WGASC). The JV Guard perform "With or Without You" for the final time in Round 10 of the SAAA Class at 8:13pm. This is the last chance to see this year’s show, so we know that the stands will be packed! 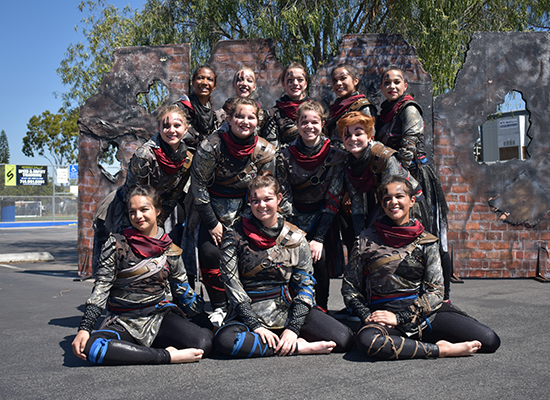 The Trabuco Hills High School Varsity Winter Guard will perform at the 2019 Winter Guard Association of Southern California Championships. The preliminary competition will be held @ Edison High School in Huntington Beach, California on Saturday, April 13, 2019 (WGASC). The Varsity Guard will perform "Land of Confusion" in Round 1 of the SAA Class at 1:16pm. Finals competition @ Bren Events Cetner, UCI on Sunday, April 14, 2019. The Trabuco Hills High School Instrumental Music Program will partake in a new fundraiser soon. 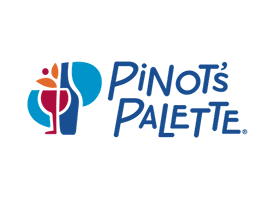 The Pinot's Palette Fundraiser will be held @ Pinot's Palette in Rancho Santa Margarita, California on Saturday, April 27, 2019 from 2:00pm until 5:00pm. 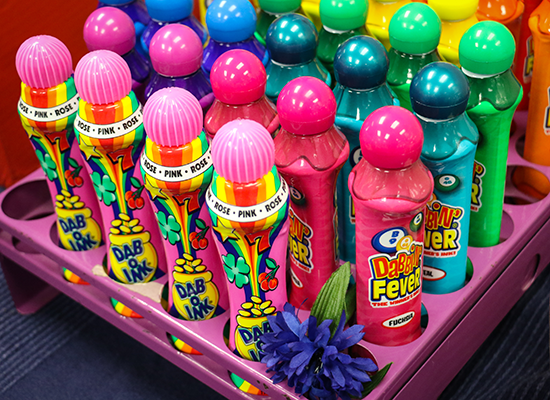 This event is for adults only. Using the link below, reserve your spot for this event. Participants will be able to enjoy some wine while painting a portrait created by Courtney Bailey. See ya there! California on Saturday, May 04, 2019. Whether this will be an overnight trip on Friday to then perform on Saturday OR if this will just be a day trip on Saturday, will be finalized in the coming days. Either way, all 3 ensembles will be performing at the festival! 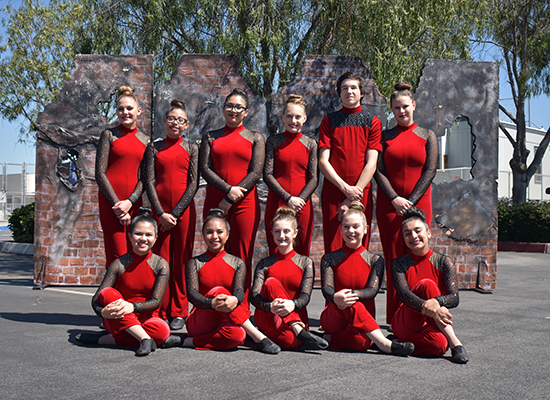 The members of the Trabuco Hills High School Winter Guard have been assigned to different groups to create and perform short routines for this event. The 2019 Spring Show will be held @ THHS on Friday, May 10, 2019 at 7:00pm. We encourage students and parents come out to the Spring Show to be amazed by these talented students and they basically create their own show. Hope to see you there! 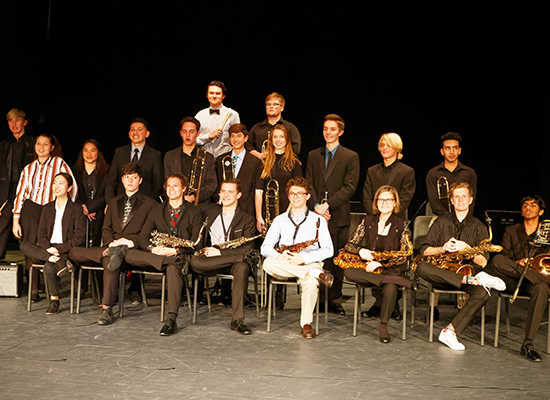 The Trabuco Hills High School Instrumental Music Program will host the 2019 Trabuco Hills High School Solo & Ensemble Festival @ THHS Theatre on Saturday, May 11, 2019 . 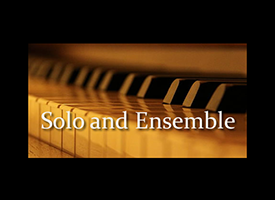 Students will have the opportunity to sign up and perform solo pieces or ensembles pieces for this festival. We are still in the process of finalizing the details for the festival. Stay tuned as more information will be posted soon. 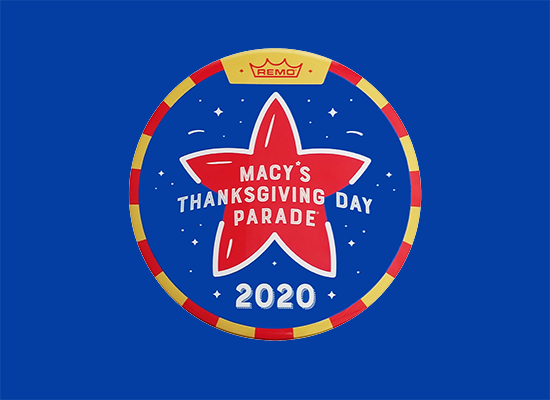 The Trabuco Hills High School Thundering Mustangs Marching Unit has just been invited to march down the streets of Manhattan in New York City in the 2020 Macy’s Thanksgiving Day Parade on Thursday, November 26, 2020! We are very excited to provide these students the opportunity to showcase their immense skills and talents to a national audience! 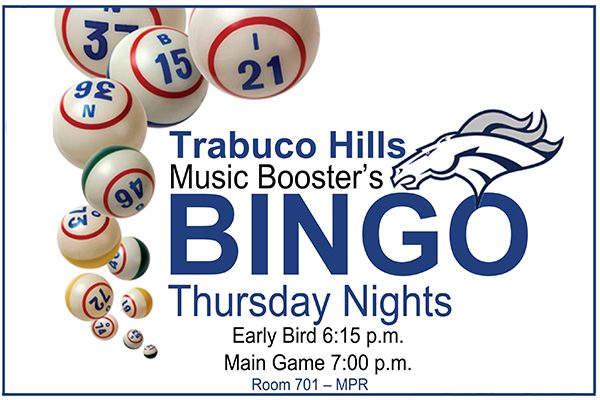 Every Thursday Night is BINGO Night! The next game is on Thursday, April 11, 2019. Early Bird games start at 6:00pm and the Main games start at 7:00pm. We always need more volunteers! Shift times vary from 3:00pm through 10:00pm, with varying durations. Come out and support the Music Program and these hard talents students in the program! Sign-up online using the link below.